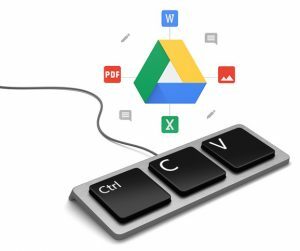 In this article, we will show you the 2 available options you have within Google Drive to copy and paste, or in other words duplicate, folders which contain Google files like gdoc’s, gsheet’s, etc., as well as other standard files like images, pdf’s, and so on, to another location on Google Drive. Currently, this feature is not available directly within Google Drive using a browser like Google Chrome or Internet Explorer, nor is it available in the Google File Stream app, as you can see from the screenshots below. As you can see in the screenshot above there is no option to copy or duplicate a folder within Google Drive using a browser. 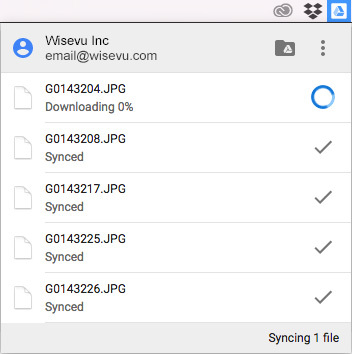 As you can see in the screenshot above there is no option to copy or duplicate a folder which contains Google files like gdoc’s within Google Drive using Google’s File Stream app. 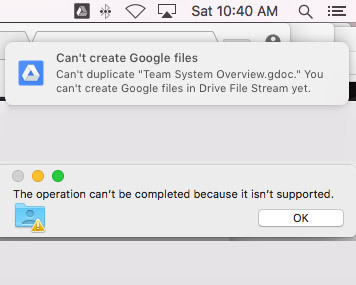 Attempting to do this gives the above errors “The operation can’t be completed because it isn’t supported.” and “Can’t create Google files Can’t duplicate “gdoc.” You can’t create Google files in Drive File Stream yet. 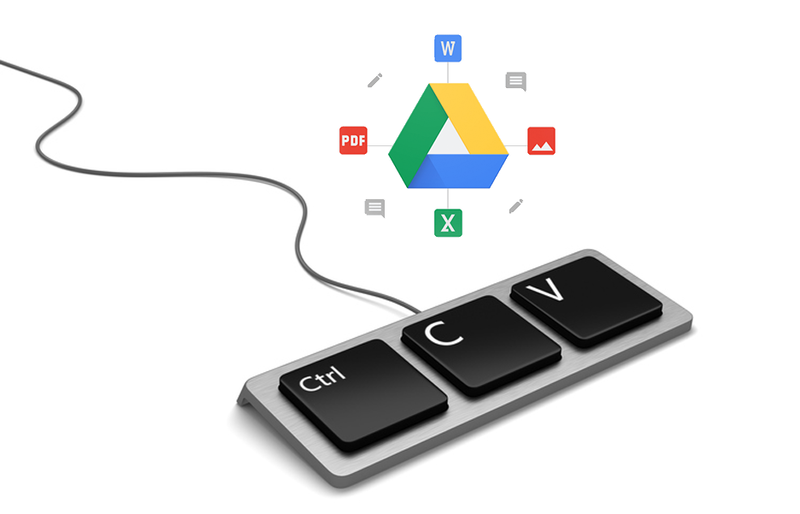 In our video below, we reveal exactly how you can achieve copying and pasting folders, which contain Google files and/or other files, from one location within Google drive to another using two techniques that have been verified by the Google Drive Team. If you like this video please like it on our Youtube Channel, and if you have any questions please drop us a comment below. 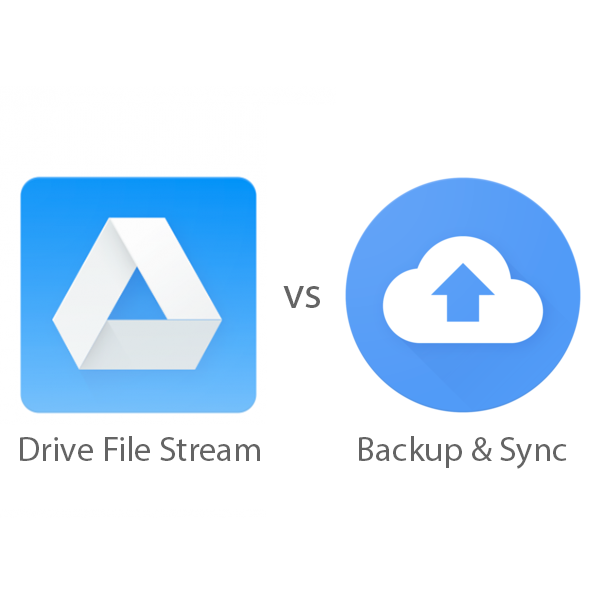 So there you have it, now you should be well equipped to duplicate files from your Google Drive to any other location within Google Drive. So if you need to copy a client onboarding package or an employee training package folder which contains all sorts of Google files, you know what to do!